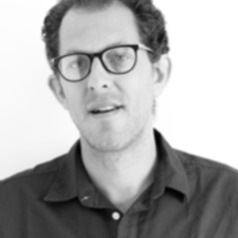 Seth Schindler is Senior Lecturer in Urban Development and Transformation in the Global Development Institute. His research is focused on large-scale urban and regional transformation initiatives that integrate cities into transnational urban systems. These planning schemes are made possible by the centralization of urban politics and the reassertion of national governments over urban processes. In many cases planners seek to design territory that can be ‘plugged in’ to global production and trade networks. In this context, Seth’s research has two primary objectives. First, he seeks to understand how ordinary cities are impacted by their rapid incorporation into global production and trade networks. Second, the design of market-oriented territories is a response to the failure of neoliberal reforms to foster export-driven economic growth. While deindustrialization is associated with urban decline in the OECD, economists have recently shown that deindustrialization is more severe in Latin America and Sub-Saharan Africa. Seth focuses on cities in the global South that have experienced significant deindustrialization, and he seeks to determine how firms, governments and labourers have adapted to the decline of manufacturing. Seth’s research has appeared in leading urban studies journals such as the International Journal of Urban and Regional Research, Urban Studies, Urban Geography, Antipode, Environment and Planning A and City. His research is currently funded by the Regional Studies Association, the British Academy and the Newton Fund. Seth became interested in urbanization in developing countries during his M.A. degree, which he earned in the Global Studies Programme (2005-2007). In the course of this programme he spent semesters at the University of Freiburg, University of Kwa-Zulu Natal and Jawaharlal Nehru University. He subsequently completed his PhD in Geography at Clark University in 2012 and his doctoral dissertation research focused on street politics and contestations over urban space in Delhi, India. Prior to pursuing a career in academia Seth taught English in Tokyo, Managua, Dubai and Muscat. Seth welcomes enquiries from potential PhD students interested in researching urban infrastructure projects, national urban development strategies, territorial design, street politics, urban informality and deindustrialization.